A Cashway factoring account gives you the option to collect payment on your invoices any time you want. Best factoring company for trucking businesses. No contract. Join for free & cancel at any time. No minimums. Factor as often as you like. Top-tier service. Fast, friendly & easy to work with. 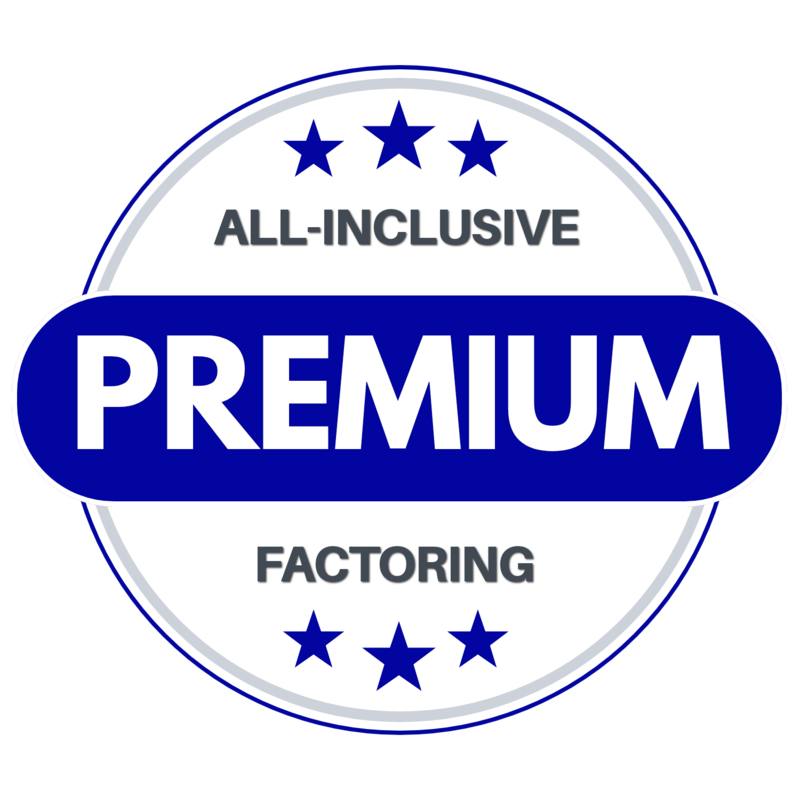 Choose the factoring program that fits your business perfectly, and use it as often or as little as you want to. Why should I factor invoices? Factoring invoices is a simple, low-risk way to ensure that your business has stable and predictable cash flow at all times. Instead of having to wait for customers to pay, factoring puts money in your pocket immediately with no strings attached and nothing to pay back. Same-Day Pay: Whenever you want to get paid, simply send your freight bills to us by web upload, email, fax or personal drop-off. Funds are sent to you the same day by ACH Deposit, Wire Transfer, Comdata Fuel Card, Comchek, Prepaid Visa Card & more. 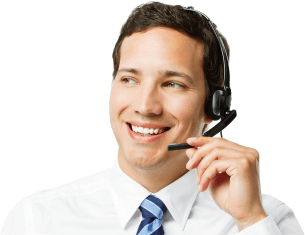 Complete Back Office Support﻿:﻿﻿﻿﻿ ﻿﻿﻿﻿﻿﻿﻿﻿﻿Cashway verifies delivery status, confirms that your customer is satisfied and provides immediate professional invoicing services for free as part of your factoring account. Collections & Risk Management: Receive unlimited access to real-time industry credit information & debtor monitoring to ensure your customers remain in good standing. 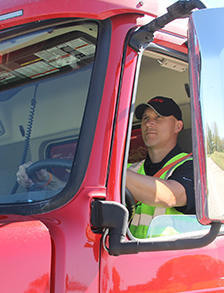 Our team of expert trucking collection specialists will manage your Accounts Receivables efficiently and responsibly to keep you in complete control of your business dealings. 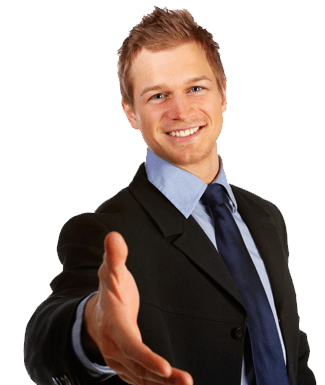 Professional & Respectful Representation: Cashway's factoring account managers are experienced, highly trained, professional and friendly. We enjoy answering questions to help our clients and we understand the responsibility of representing your business in front of your customers. You can depend on our team of specialists to always act with your best interests in mind. Pay Only For What You Use: ﻿﻿ Bill some of your customers directly and factor the others when you want to. There is no fixed-term contract and we don﻿'﻿t force you to do business with us. CLICK HERE to read more about what makes Cashway the smartest choice to be your factoring company. Want to learn more about factoring with Cashway? The money you receive from us when you factor freight bills is yours. It is it not a debt, loan or advance and it does not affect your personal or business credit in any way. Cashway collects payment for your invoices directly from your customers, so there is nothing for you to pay back and you are free to use the funding you receive from us in any way you see fit. CLICK HERE to have an email sent to you with available factoring account options. If you have more questions about factoring we would love to talk with you! Call 1-888-752-1443. YES! 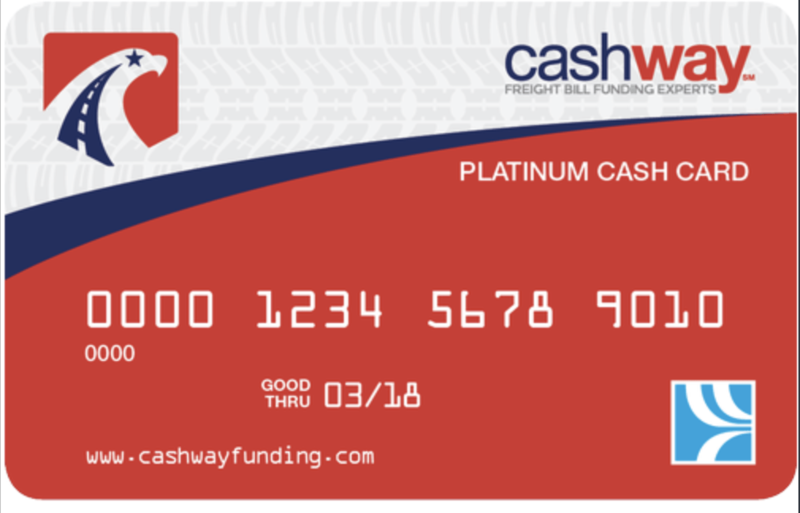 Trucking businesses of all types and sizes are eligible to create Cashway accounts for free. Startups Welcome: We love helping new trucking businesses grow! 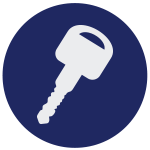 Cashway is designed exclusively for transportation businesses. That means we can be much more flexible and accomodating than other factoring companies or lenders. CLICK HERE to receive an email with some available factoring account options. What are the factoring fees? Our factoring programs are both convenient and affordable. 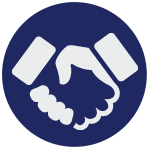 We offer both recourse and non-recourse factoring options, with recourse factoring rates as low as 1.95% with no term contract and no monthly minimum requirement. The most popular options we offer are flat-rate, non-recourse factoring. Non-recourse flat rate factoring account fees typically range between 3.75 - 6.5%. CLICK HERE to have an email sent to you with available factoring account programs & options. When will we receive the money? Cashway offers best-in-class premium factoring services that are easy-to-use and affordably priced for trucking businesses of all sizes. We accept freight bills by email, fax, web upload or by in-person drop off to our Atlanta area factoring offices in Woodstock, GA.
Freight bills received by 3pm Atlanta, GA time will be processed and funded the same day by ACH direct deposit, Wire Transfer, Comdata Fuel Card, Comchek or Cashway Progress Prepaid Mastercard. CLICK HERE to read more about how factoring works with Cashway's Easy 1-2-3 Factoring Process. You can create a Cashway factoring account in minutes and we can begin funding on the same day your account is activated. To get started, complete a Cashway Startup Kit and return it to us by email or fax. It is free to create a Cashway account and there is no obligation to use our service. You only pay for what you use. CLICK HERE to have a Cashway Startup Kit emailed to you and let's get started today! If you have more questions about factoring we would love to talk with you. Call 1-888-752-1443. Since our inception in 2013, Cashway has gained a reputation for fresh thinking and straight dealing, with a common-sense approach to factoring freight bills for trucking companies. Personal service is the foundation of our success. When you do business with Cashway you will always know who you are dealing with and exactly where you stand. As a Cashway Funding client you will have unlimited access to our entire team of experienced transportation and finance professionals. Our full Atlanta, GA team is available and at your service at all times. That means faster service, improved quality & better results for you every time. CLICK HERE to have a Cashway Startup Kit emailed sent to you and let's get started today! Freight bill factoring doesn't have to be complicated. Create a factoring account in minutes with no credit check, no term contract & no obligation or minimum requirements. Easy to use. Any time you want to get paid for an invoice, send Cashway your delivery paperwork. We send funds to you the same day, bill your customers & handle the collections. Questions about how Cashway's freight bill factoring service works? Try a premium freight bill factoring program that's fast, easy & affordable. Factoring that puts you in control. Cashway makes it easier to increase revenues, streamline your operations, eliminate risk & manage expenses. Cashway's factoring specialists work for you to help your business thrive. Our highly-trained account managers represent your business professionally & responsibly. We listen to what you have to say and we care about helping you succeed. Not all factoring companies are the same. Choose from flat-rate factoring, adjustable, recourse or non-recourse factoring & more. With Cashway you get to choose the right plan to fit your business and you can switch plans anytime for free. Cashway's results-driven transportation factoring service always puts your interests first. I think this company is a blessing to any business owner that is looking to grow and do it with simplicity. If you own a trucking company that moves freight for business customers, Cashway is for you. Our friendly Cashway account managers are happy to help you. Finding loads with free load boards can help eliminate empty backhauls and deadhead miles on your primary lanes. The more load boards you use, the better. Cashway gives you unlimited access to more than 100 free load boards where you can search for loads and good-paying freight every day. Unlike most factoring companies, at Cashway you get to work with experienced factoring and transportation finance professionals every day. We are not a call center, which means our entire team works together to help you-- not just a single person or account executive. Unrivaled in acceptance and flexibility, the Comdata OnRoad Card is your single-source solution for managing fleet spending and driver funding. Cashway clients can log in to find thousands of freight brokers, direct shippers and 3PL companies for free. Our proprietary and third-party databases are updated in real-time 24 hours a day. At Cashway, freight bill factoring is our sole line of business. We are 100% independent and focused on providing you with the fastest and best factoring services in America. We are not a trucking company, freight broker, load board, dispatch service, insurance agency, bank, loan company, equipment dealer, ISO, fuel card company, accounting service, or any other business. This means that unlike many of these other companies, Cashway will not solicit or force you to buy additional services, sell your information to vendors, or use your business volume to collect discounts from third parties. Cashway gives you real-time credit information on tens of thousands of shippers, brokers and 3PL companies for free. Our team protects your business against customers who don't pay, so you never have to worry about being caught off-guard by freight brokers or shippers with bad credit.